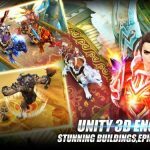 A heroic fantasy MMORPG based in a dark and enthralling universe; Arcane Online submerges you into a deep and satisfying experience right on the screen of your smartphone. The game has been developed and published by Gala INC who are also the creators of Flyff and the very popular gPotato. Arcane Online is regularly updated for its players with the most recent update occurring just recently on 8 September 2016. Arcane Online is available to download and play for free on iOS devices from the Apple iTunes App Store. As the game is internet based so most of the data needed for player accounts is stored and pulled when needed from super-fast servers owned by the game developers. This allows the game to take only a slight amount of storage on your phone. There are some in-game purchases like starter packs that could put you at a serious advantage over other players but the game is generally very friendly to non-paying players. Arcane Online is based on the same basic concept as all other MMORPG and MOBA games. You have to choose a character from three available classes which are the mages, the shamans and the Warriors. As is evident from their names, the different characters in each of these classes possess varying abilities and special skills. A unique feature of Arcane Online that is rarely found in other MMORPG games is the killing of monsters as a single quest or while grouped with teammates. 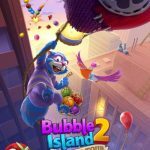 This feature allows the game to come under Adventure and Exploration games category as well which further widens the impact that Arcane Online is already making in the App Store. With hundreds of characters to choose from and every hero having a different skill set, you are sure to never get bored while playing Arcane Online. This game has some elements which normal MMORPG games do not like the monster hunting features. Due to these additional elements, you will definitely need to look for some external support while playing the game in order to ensure that you are able to always stay one step ahead of the game. 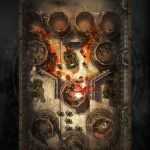 This guide contains tips that have been formulated after intensive multiplayer sessions and hours of advanced testing techniques. Therefore you can expect to improve your game quite a lot of you honestly follow and apply the essence of these tips to your regular gameplay in Arcane Online. The three classes of Warrior, Mage and Shaman each have different skill sets and abilities as well as a wide range of buffs and debuffs to choose from. Such a wide array of skills might be overwhelming for a new player and because everyone has a different style of playing MMO games, it is important for you to know about the merits and demerits of each class and choose wisely. This choice is only given to you once and you cannot change your class once you have started with a character. Therefore your choice holds the most value and you should pick a character that you can learn and continue to master rather than go for “cool” or “deadly” looking heroes. Warriors is the class that contains characters with the highest amount of health and strength stats. They are also huge in size and pack a powerful punch of close range damage. The Warrior class contains only Melee heroes which means that they cannot attack beyond the range of their weapon’s length. However most of the characters in the Warrior class make up for this shortcoming through brute strength and damage dealing capabilities. A huge advantage that characters of the Warrior class have over characters from the other two classes is the very less amount of Mana Points (MP) that they require to utilize their skills and abilities. Also due to the high Health Points (HP), you will need to use much less health potions while engaged in battle with monsters. “Vein Slash” is a special ability that is absolutely destructive to monsters and will help you slash and hack your way out of dungeons. Even though Warriors look the coolest and seem like the ideal choice for you, they have their own drawbacks which you should be aware of before jumping to pick a Warrior. The biggest disadvantage of picking a character from the Warrior class is the high amount of “paper” strength that they come with. It is very easy to get fooled by the big Health Bar on these Warriors because when you start fighting monsters and you miss on many of your attacks, your HP will start dropping faster than you can deal with. This overpowered effect that the huge HP bar creates gives you a great confidence boost which turns out to be mostly lethal for you. Despite their outward brutish appearance, characters of the Warrior class have a low defense and are very weak against direct attack by monsters. As there are only a few active abilities and mostly passive skills and buffs, characters from the Warrior class are very easy to control especially for beginners. They also have the lowest learning curve and after a point your mastery of the Warrior class only matters on your reflexes and decision making ability in the game. 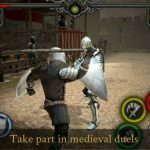 If you are unsure about the kind of character that would fit your needs and are looking for an easy and relaxing game, the Warrior class is the best option for you. The Mage is a class in Arcane Online which is comprised of long ranged and powerful spell casters called the Magicians or Mages for short. The class contains mostly ranged heroes with a handful of melee heroes with some devastating spells and magic skills. Mages have advanced abilities and a wide range of skill sets which incorporates single target as well as Area of Effect (AOE) skills. Somewhat harder to master as compared to the Warrior class, characters in the Mage class reward you with very great chances of success if you are dedicated to learning. A big advantage that Mages have over the other two classes is the ability to deal a great amount of damage per second (DPS) from a very long range. This benefit combined with the high damage magical Area of Effect abilities creates a powerful combo of defense as well as offence. Mages can stand far away and influence the course of an ongoing battle while chunking out huge amounts of damage at the enemy monsters. This long range advantage especially comes in handy when there are many monsters or few really large monsters and you can easily take them down by attacking from far away while they get weaker and weaker before being able to reach within attacking distance of your character. Mages are entirely dependent on their magical skills for damage output. As a result they are the weakest class when it comes to close range combat and are defenseless against monsters that manage to get close to them. This makes Mages a very fragile hero class and you will always have to be mindful of your surroundings whenever you are busy using your magical skills in the battle arena. Another great disadvantage of characters from the Mage class is their insane consumption of Mana for each skill which makes MP a core requirement for these heroes. Mages have a high base intelligence stat which means they have a very high capacity to store more Mana as compared to characters of the other two classes. However while in battle mode, you will be using skills at such a wild pace that almost all of your MP bar will be empty before you know it. When this happens you will have to rely upon external sources of Mana like Mana potions and essences. These are very costly items in game and require a lot of gold which is not so easily available to players who play for free. Therefore if you are very serious about long range advantage over the other classes and you think it suits your style more than anything else then go ahead and choose the Mage class for your character in Arcane Online. Be ready to make some in game purchases however because becoming a Mage is not a task that is light on your wallet. The third class in Arcane Online is mostly referred to as the elite and most powerful class of characters in the game. They are also notorious for being extremely hard to control and master in order to be played effectively. However when used in the right manner, Shamans are the greatest and most destructive forces in Arcane Online. The class of Shamans is mostly comprised of mid to long range heroes with varying capabilities. One thing in common among all Shamans is their ability to heal themselves and their allies to a certain degree. This special ability makes these heroes an almost unstoppable power in Arcane Online. With great power comes great responsibility as they say and thus it is a very hard and demanding task to effectively control the Shamans and harness their true potential. The power of the Shaman is so great in the current version of the game that numerous complaints have been received requesting to need the character class in order to make the game fair for everyone with characters from the other two classes. Shamans have pet flame snakes as their special ability and these are quite simply said not a joke. This is the most overpowered skill in Arcane Online. Being a Shaman, you can call two snakes of fire to fight alongside your character for a time of 20 seconds. The cool down timer on the skill is also 25 seconds so you only have to face a down timer of 5 seconds otherwise the snakes are always present and ready to fight with you. They have great damage dealing power as well with each of the snakes doing almost as much damage as your main character at higher levels. The biggest disadvantage to having a Shaman as your main character is them being the most mana intensive class in Arcane Online. Using even the primary ability requires almost one third of the Shaman’s total mana pool not to mention the extra mana costs that other additional skills take to cast. Put quite simply voodoo magic always comes at a price and picking a Shaman character will be the biggest investment you will make in Arcane Online. It will not be one that you will regret however as none of the other classes come even close to the prowess of the characters of this class. You should choose a Shaman only and only if you have complete confidence in your ability to contribute their damage output and balance it out with the extreme mana cost of each skill. Be warned, this is not a hero class to take lightly and be used for learning practice. Shamans require exceptional skill from players to operate in the battlefield so choose this class only if you think you can handle the power of the voodoo heroes. When you start playing Arcane Online with your chosen character, you will be given certain gifts by the Village Chief and other notable personalities. These will include potions and basic weapons to help you gain an idea of the combat mechanisms. However, these basic weapons will soon become obsolete as you advance beyond fighting foxes and raccoons. When you are faced with huge and dangerous monsters, you will have to come prepared with your own arsenal. Crafting your own weapons is a very unique and interesting concept that Arcane Online offers to players and as there are a lot of steps towards making an ultimate weapon, this crafting mechanism keeps players entertained for hours on end. You will be given a basic weapon crafting tutorial in the game by the village smith and after that it will be up to you to combine many different combinations of raw materials and obtain weapons that have various abilities and advantages for your character in battle. Depending upon the raw materials you used for crafting a specific weapon, it will have different properties to help your character in battle. An overall boost to the base stats of your character is generally obtained as a result of crafting new weapons. However, if you are able to find incredibly rare raw materials to craft your weapon, you will be able to get a boost in the special combat stats of your character while using that weapon. Some of the special stats are Critical Hit, Healing, True Strike and Damage Block, all of which offer a great advantage to your character while engaged in battle with difficult monsters. Another way to improve the fighting capabilities of your character in the game is by using the upgrading mechanism. Using the upgrade option, you can improve upon the abilities of a weapon already possessed by you or a newly crafted weapon. Upgrading a weapon requires gold and ingredients which you can find during your quests and you can obtain a handsome amount of gold by logging in daily to the game and completing the various quests offered to your character by the Village Chief or other persons of note. Do remember however that the stats obtained as a result of upgrading your weapon cannot be predicted and as it is a random process sometimes you might not get what you were expecting. The best way to deal with such a situation is to keep the gold and ingredients ready for two or three more upgrades of the same weapon so that you have a contingency plan right at hand. Arcane Online is quite a different MMORPG in the sense that you do not fight with your hero against other players from the world. Rather, you fight alongside them to defeat epic bosses and monsters. This change in gameplay from the traditional requires very quick thinking on your part and sacrificing your gold and potions stash for the greater good at many times. There are many different kinds of special potions as well in addition to the base Mana and Health Potions. These include Crit Potions, Shielding potions and damage infusions which greatly increase your damage output. Depending upon the type of monster that you and your guild members are faced with, you will need to decide accordingly the type of potion that you have at hand and will be best to use in that situation. Arcane Online also has a potion upgrading feature which allows you to exchange gold and some special ingredients for an increase in your potions carrying capacity as well as the effects of certain potions. When you have more potent potions at your disposal, defeating a difficult monster becomes much easier.